NEW YORK, Dec. 3, 2018 – In an effort to raise awareness and funds for water projects in Africa, Houses With Hope (www.houseswithhope.org) CEO Ronna Jordan recently began a coast-to-coast walk across the U.S. carrying a jerrycan strapped to her back. Ronna wanted to illustrate what young girls and women go through in Africa each day just to fetch potable water. The event was launched in October at New York City and is scheduled to complete in Los Angeles on New Year’s Eve of this year. Jerrycans are typical water vessels used by working women all over Kenya and across the continent of Africa. Millions of girls from the ages of 5–15 walk an average of six hours a day, strapped down with such heavy cans, to collect water for their families and farms. These daily walks contain a variety of hazards, in addition to keeping the girls from attending school regularly. Ronna Jordan and the dedicated staff behind Houses With Hope plan to use the proceeds raised during the “Walk + Water” event to provide clean water to the over 300,000 people of Nyando, Kenya where the organization builds homes for families in need. The goal of Houses With Hope is to expand the Initiative to communities throughout Kenya and the African Continent. “The tireless efforts and contributions of Ronna Jordan to Kenya are incalculable; she is an exemplary example of the best in humankind,” said Rt. Honorable Raila Odinga, former Prime Minister, in support of Jordan’s overall efforts. In 2018, Houses With Hope also launched The Hope Initiative, which will work under Parliament Member Jared Okello to bring comprehensive water, agriculture, housing, medical and educational solutions to the region. Worldwide, nearly 800 million people do not have access to safe drinking water. And almost 900 children die every day from diseases caused by unsafe water and poor sanitation. Water scarcity affects more than 40 percent of the global population. 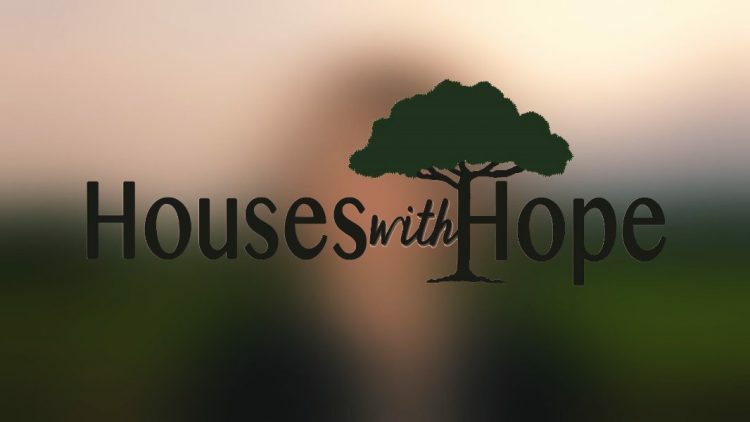 Established in 2010, Houses With Hope is a non-profit organization that helps build homes for poor families in Nyando, Kenya, as well as providing assistance to victims of humanitarian crises in the U.S. and abroad. Famously known for their $400 houses, which the organization builds in the Kisumu County rural region with the help of local villagers and volunteers, Houses With Hope works under the direction of Honorable Jared Okello, Member of Parliament for the Constituency of Nyando. Organizational leader, Ronna Jordan, is a well-known speaker and author of the newly released book, “The $400 House.” Learn more about the organization at: www.HousesWithHope.org.